The band Dead Horses has a past that has shaped their music, but perhaps it is because of their past that the songs ring with such sincerity and touch all those heartfelt emotions in us as listeners. That would explain their awards for “Best Album,” “Best Americana/Bluegrass Artist,” and “Best Female Vocalist” at the 2017 WAMI Awards. Frontwoman, singer, guitarist, songwriter Sarah Vos and double bassist, Daniel Wolff are back with their third album, My Mother the Moon. Produced by Ken Coomer (Wilco, Uncle Tupelo), My Mother the Moon was recorded live in Nashville with double bassist and founding member Wolff. Each track centers around Vos’ rich, gravely toned voice that is deeply full of emotion. The tunes are presented with understated intimacy and cover catharsis and redemption at a time when both are in short supply – stories of human nature, of working class men and women in rural America, and a fearless examination of her own spirituality. That’s the short of it! My Mother the Moon is available for pre-order here. Intimate songwriting that recalls the work of deft songwriting elders Joni Mitchell or Gillian Welch. Vos’ singing is stunning, and she believes every note and nuance, and that comes through in a style that is part modern folk, old country, part bluegrass, but wholly heartwarming! The lyrics on My Mother the Moon are magical, add Vos’ stunning delivery and the understated music that oscillates between sweeping orchestration, sparse finger picked acoustic guitars and old-school bluegrass romps. 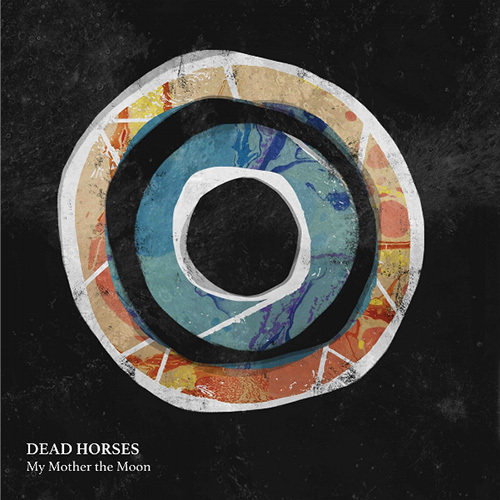 Dead Horses is always honest and poignant, music to feed the heart, because man cannot live on bread alone!